Show business is all about extremes. Hitting big is tough, but when an actor or actress does, they hit real big. While many Hollywood stars have made more dough from the acting gambit than most people can even dream of, an elite few of those top-dollar stars have gamed the system even further, be it through box-office percentages, merchandising, or other crafty means. Here are seven famous faces who worked the industry to bring home a lifetime supply of bacon. 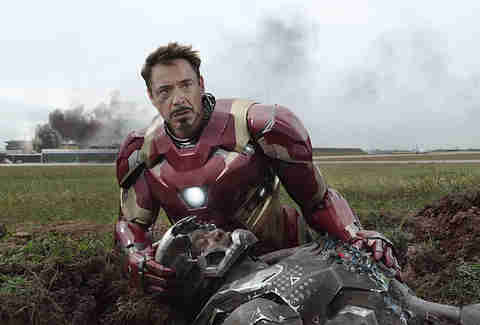 After headlining three Iron Man movies and two Avengers films, it's unlikely that Robert Downey Jr. was pressed for cash. Still, the top-grossing performer of the Marvel Cinematic Universe’s superpowered troupe finagled a few extra dollars out of his appearance in 2016’s Captain America: Civil War. On top of his $40 million salary, Downey’s contract demanded additional dough on the condition that Civil War trounced the $714 million international box-office intake of 2014’s Captain America: The Winter Soldier. The logic: If Civil War proved a greater success than its Downey-less trilogy predecessor -- which it did, ultimately earning $1.5 billion worldwide -- then it’d stand to reason that Tony Stark’s position in the picture must be to thank. Never mind the fact that a half-dozen other superheroes showed up for the occasion. The origin story of the modern comic-book movie’s guaranteed box-office bonanza traces back to 1989, when Tim Burton set out to reinvent superhero cinema with his adaptation of Batman. While Burton was busy birthing a new cash cow, star Jack Nicholson opted to get in on one of the most lucrative fads of the closing decade: merchandising. 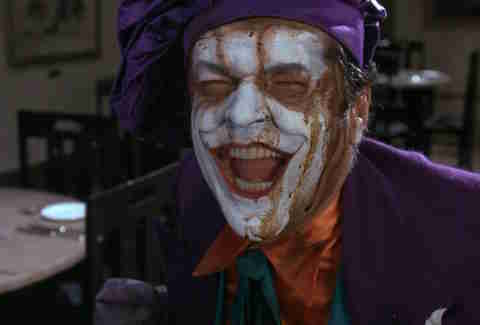 Not only did Nicholson accept a $10 million paycheck for his turn as Gotham City’s nefarious art thief the Joker, he got a percentage of the profits incurred by distribution of all DC Comics-produced Joker toys bearing his likeness. The deal earned Nicholson more than $100 million. 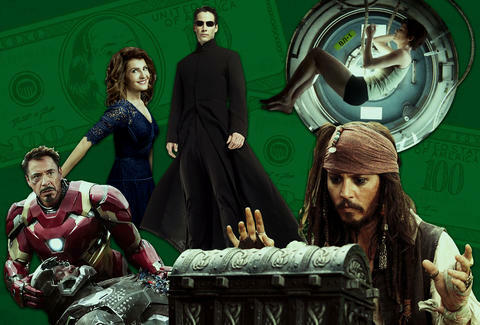 Four years after The Matrix's strong theatrical run, the Wachowski directors doubled down on a pair of sequels, Reloaded and Revolutions. 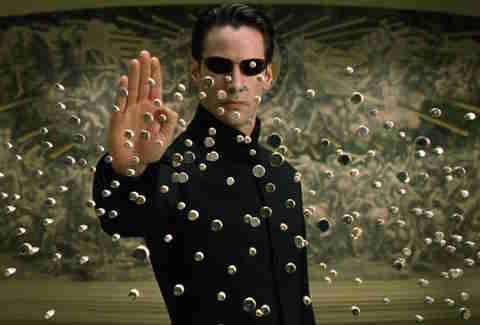 Naturally, both featured the original Neo, Keanu Reeves, whose starring presence was deemed worthy of $15 million per picture, plus 15% of each movie's box-office returns. With a $427 million international gross, final chapter Revolutions was something of a disappointment (go figure), but the long-awaited second feature Reloaded raked in $742 million worldwide, landing Reeves with $126 million all his own. Sandra Bullock gets bonus points for going the same route with Gravity. Unlike the aforementioned ventures, Gravity was the rare non-sequel, non-remake, non-adaptation to perform with such bombast during the franchise-friendly 2010s. Star Bullock believed in director Alfonso Cuarón’s space-set thriller, opting to sign up for 15% of its eventual profits along with a $20 million paycheck, going on to pocket $70 million. Why the Hell Aren't These Famous Actors Movie Stars? In retrospect, the turn of the 21st century was a remarkable time to invest in home viewing. VCRs would soon give way to DVD players, which would dominate American households for the decade to follow (until physical media would be rendered a thing of the past). 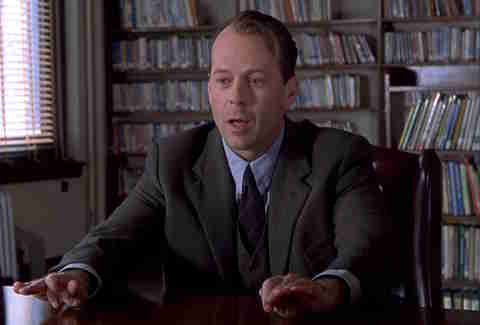 Bruce Willis must have gotten advice from the beyond to get in while the going was hot, as the Sixth Sense star negotiated rights to a chunk of the film’s inevitable home-video sales. Combined with his rights to 17% of the film's $673 million international box-office gross, this landed Willis more than $115 million and counting… and that's on top of his $20 million paycheck. 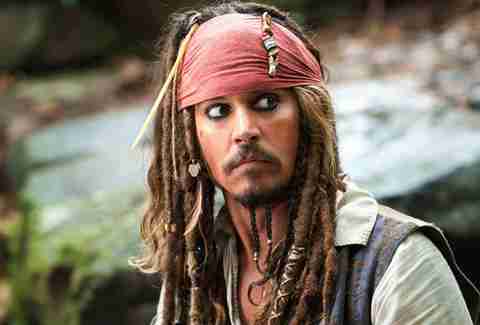 Some actors don't have to get too creative when it comes to raking in the dough: For his fourth turn in the Pirates of the Caribbean series, On Stranger Tides, star Johnny Depp was paid $55 million upfront. That's quite a bounty. Considering the fact that then-debut screenwriter Nia Vardalos' passion project only cost about $5 million to make, its $369 million worldwide gross can be seen as a pretty monumental success story. As the film's writer, star, and producer, Vardalos' contract guaranteed her 8% of the film's public intake, which would amount to approximately $30 million. She may have ended up with an even greater payday, however, thanks to a long-standing lawsuit with producing company Gold Circle Films. Insisting that Gold Circle had fudged the numbers on My Big Fat Greek Wedding's monetary success, Vardalos and producing partner Tom Hanks sued the company for withholding a helping of their deserved incomes. By 2007, Gold Circle forked over $44 million to be split between the two, leaving Vardalos in a completely different tax bracket than when she first sat down to pen the charming rom-com. Michael Arbeiter's biggest acting payday was $15 for his role in a summer camp safety video. Find him on Twitter @MichaelArbeiter.